Diabetes is a chronic metabolic and vascular disease. It is a silent killer and a life long disease. It has very disabling & life threatening complications in the form of heart attack (Myocardial Infarction), kidney failure (Nephropathy), paralysis (Brain Stroke), nerve damage (Neuropathy) & blindness (Retinopathy) etc. There is no cure for diabetes but with the availability of latest medications it can be easily treated and we can prevent its life threatening complications. 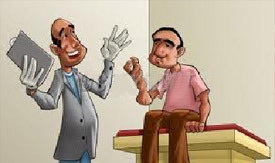 Thus patients can lead a happy and healthy life. It is growing at a rapid pace and has attained epidemic proportions worldwide. 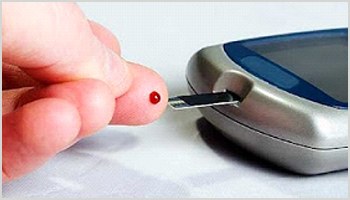 There are 366 million diabetics all over the world, out of which 62 million are in India (2011). 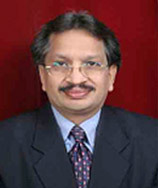 India is thus the global leader and is considered as the "Global Capital of Diabetes". This growing burden of diabetes not only has serious health risks but also has tremendous social and economic significance. Can we reduce this burden? And the answer is definitely yes. We can reduce the burden of diabetes by increasing awareness about diabetes. We have to educate health planners, health care providers, patients and public at large. We have to have a good understanding of diabetes and keep ourselves abreast with the latest developments in the field of diabetes esp. newer medications, testing devices (Glucometers) and newer insulin delivering devices (Insulin Pens). Diabetes is a condition in which sugar (glucose) level in blood becomes very high due to deficiency or inefficiency of Insulin (a hormone secreted by pancreatic beta-cells), and glucose can't enter the cells. Once sugar level increases beyond a certain level (>180mg%), then excess sugar starts flowing in urine (glucosuria). Diabetes Mellitus has been derived from a Greek word, which means "Siphon" i.e. increased thirst and urination; and a Latin word, which means "Honey" i.e. sweet blood and urine. WHAT HAPPENS IN A DIABETIC PATIENT ? (stomach & small intestines) and gets converted into glucose, which then gets absorbed and goes to blood. From blood it enters million of cells present in our body with the help of a hormone Insulin. Insulin is released automatically by pancreas, whenever blood glucose level increases e.g. after eating food etc. The cells burn glucose (a fuel) and convert glucose into energy, which is utilized for smooth running of our body. In diabetes there is either deficiency or inefficiency of insulin. Insulin shifts glucose from blood to the inside of cells (for the release of energy). Thus in diabetes glucose can't enter the cells and it increases in blood (Hyperglycemia). The cells can't make energy and a diabetic patient always feels tired and exhausted. WHAT ARE THE TYPES OF DIABETES ? Type 1 (Childhood Diabetes): Insulin is absent or is very little. Symptoms appear suddenly at a very young age. Common symptoms are: increase thirst; increase hunger, frequent urination, unexplained weight loss and tiredness. Child may develop diabetic ketoacidosis (DKA) or become unconscious. Child has to take insulin to survive. It is also known as "Insulin Dependent Diabetes Mellitus". Generally it occurs at a younger age (<10yrs), but can occur at any age. 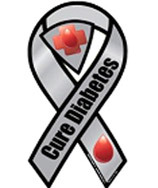 Type1 diabetes constitutes < 5% of the total number of diabetic patients. Type 2 (Adult Onset Diabetes): Insulin is deficient or inefficient (can't function properly). Symptoms develop slowly over months to years. Common symptoms are itching all over the body (esp. on private parts), tiredness, decrease vision/frequent change of glasses, increase hunger & thirst, increase urination, tingling and numbness in hands or feet, sexual problems (impotence) and delayed/non healing of wounds. Generally it occurs after 40 yrs of age, but can occur even in young children and adolescents, who are obese and have un-healthy life-style. Type2 diabetes constitutes > 95% of total number of diabetic patients. Gestational Diabetes: Diabetes can occur temporarily during pregnancy in genetically predisposed or obese patients. This type of diabetes gets resolved after delivery except in 30-50% patients in whom it would continue even after delivery. Insulin is the only agent which is safe during pregnancy and hence has to given to all pregnant diabetic patients. If the patient continues to have diabetes after delivery then oral tablets can be given. Secondary Diabetes: This type of diabetes is due to Pancreatic diseases or Drugs or Hormonal disorders. Genetic Defect: The defect is present in several genes right from birth. This defect leads to formation of auto-antibodies, which destroy the pancreatic beta cells. Viral Infections: It is only a hypothesis that certain viral infections can precipitate or lead to development of Type1 diabetes. Hereditary: Type2 diabetes generally runs in families. Thus if any of your family member has diabetes, always get your blood glucose tested. Metabolic Syndrome or Insulin Resistance: Type2 diabetes can also be a part of metabolic syndrome, which comprises of insulin resistance, glucose intolerance, dyslipidemia, high BP and hyperinsulinemia. It is generally seen in people who have sedentary life style & unhealthy eating habits. Obesity: Obesity as such or as a part of insulin resistance syndrome, can lead to diabetes. Male type (Android or Apple-shaped or Central) of obesity is more often associated with diabetes. It is the main driver for increase prevalence of diabetes in the recent past. Race: Type2 diabetes is more common in Asians e.g. Indians, Chinese, Pima Indians and Black Americans. Drugs: Certain drugs like Thiazides, Steroids, Pentamidine, Anti-depressants, Beta-blockers and Immuno-suppressants can precipitate diabetes in high risk people. Hormonal Disorders: Certain hormonal disorders like Acromegaly, Cushing's syndrome, Phaeochromocytoma & Hyperthyroidism are associated with diabetes. WHAT ARE THE SIGNS & SYMPTOMS OF DIABETES ? If you have any of the above symptoms, you get your blood glucose tested. If found on higher always consult a Diabetologist. HOW TO DIAGNOSE DIABETES ? Casual plasma (or Random) glucose value > 200 mg% along with symptoms of diabetes. Casual means anytime of the day irrespective of last meal. Classical symptoms of diabetes are polyuria, polydipsia and unexplained weight loss. 2hr Postprandial Plasma Glucose (PPG) > 200 mg% during an OGTT, performed with a solution containing 75 gm anhydrous glucose dissolved in water. Fasting Plasma Glucose (FPG) > 126 mg%. Where fasting is defined as nil calorie intake for at least 8 hrs. * Repeat testing is required if result is unclear. * IFG & IGT have been officially termed as "Pre-Diabetes" and are risk factors for future diabetes and cardiovascular disease (CVD).